← Meatless Monday! The Top 5 Reasons to Go Veg One Day a Week! Vitamin C is like a super-hero for your health, especially for your skin! 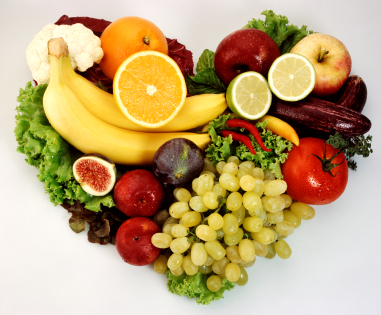 Besides helping to fight off infections, vitamin C aids in tissue repair and strengthens your blood vessels. While citrus fruits usually take the spotlight, you can up your V-C intake by eating a serving or two of kiwis, strawberries, and peppers every day. If vitamin C is Batman, then vitamin E would be Robin! This fierce antioxidant teams up to help stave off wrinkles by ramping up cellular repair. Almonds, sweet potatoes, and wheat germ oil will all give you E-normous benefits! B vitamins not only contribute to youthful skin, but also play a starring role in mediating stress levels and maintaining healthy nerve transmission. If you’re using a supplement, look for one that includes both biotin and niacin. Meat, whole grains and bananas are your best bet for the B vitamins. Sweep away sun-damage with selenium! Even as summer wanes and the days begin to get shorter, there’s potential for some harsh sun damage. While a certain amount of sun exposure may be good for you, too much will contribute to photodamage and photoaging. Selenium will help neutralize the effects of too much UV exposure. Nuts, meats and eggs are all selenium superstars. Essential fatty acids help to aid the skin’s natural oil barrier, leaving you with smoother more supple skin. The most common EFA’s are omega-3 and omega-6 fatty acids. You can find omega 3’s in salmon, flaxseed, and safflower oil, while O-6’s are in cooking oils, meats, and grains. Vitamins and minerals are essential to building a better body from the inside out. Supercharge your skin-care with these vital vitamins today! What foods do you eat to keep your skin healthy? Drop us a line in the box below! Thanks for posting Jason. I have always been told that of the Essential Fatty Acids, it’s Omega 3 that is a must. However, I have been told that there is more than one type of Omega 3, and that the one inside fish is very different to the type found in sunflower oil or sunflower spread, and that it is the Omega 3 found in fish which is most worth consuming. I was wondering if you have a particular view on this.